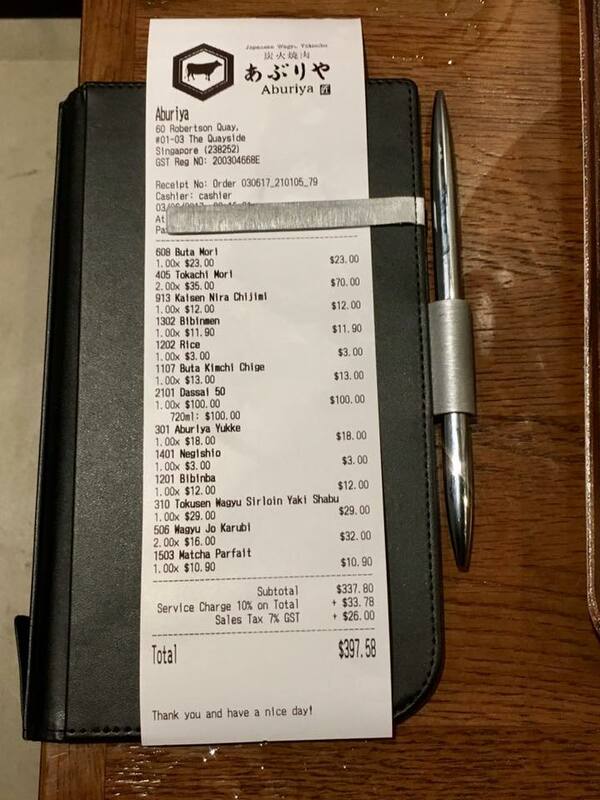 no need to say aburiya our favourite restaurant..
most recently i came with my OPS bros for 4pax dinner then durians on 28.2.2017.
just that my family come here even more than i do. this evening 5 of us came for late dinner at 8.45pm on saturday 3.6.2017.
place was renovated, no more outside boardings, nice. & apparently price has gone down?? according to the affable jap owner. nice to hear, nicer that it is true! 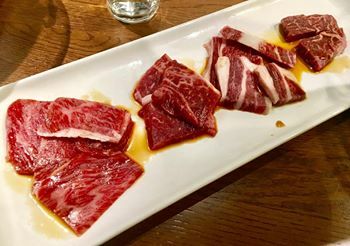 the hokkaido beef platter was S$45, now it is S$35! owner said he sourced large quantities at lower cost now. we also ordered the iberico platter S$23 (forgot to take photo). previously S$25. both the platters always nice. we liked the beef more so we ordered 2 platter. 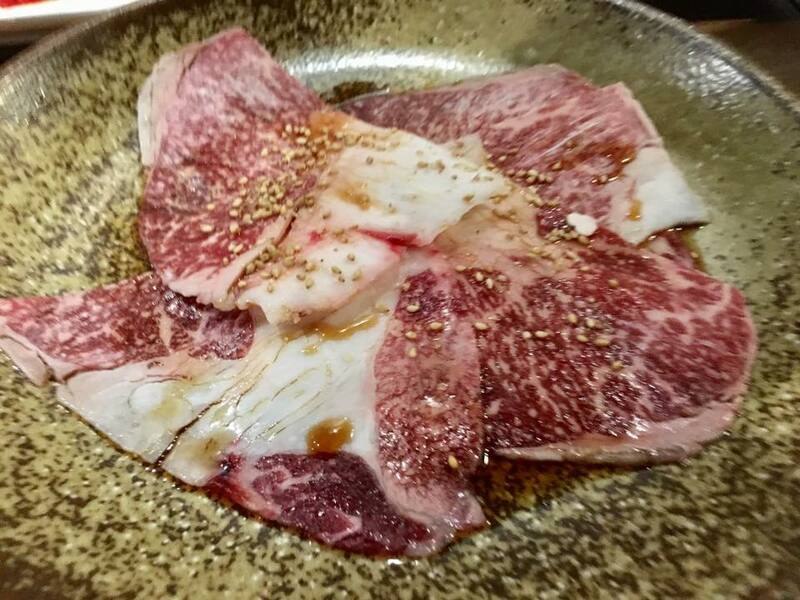 i guessed we were like very hungry or greedy, so we ordered another 2 wagyu jo karubi S$16. in a sense this even better than the platter! of course the platter had 4 different cuts some better than others, though all were good. the whole dining experience was quite wonderful. 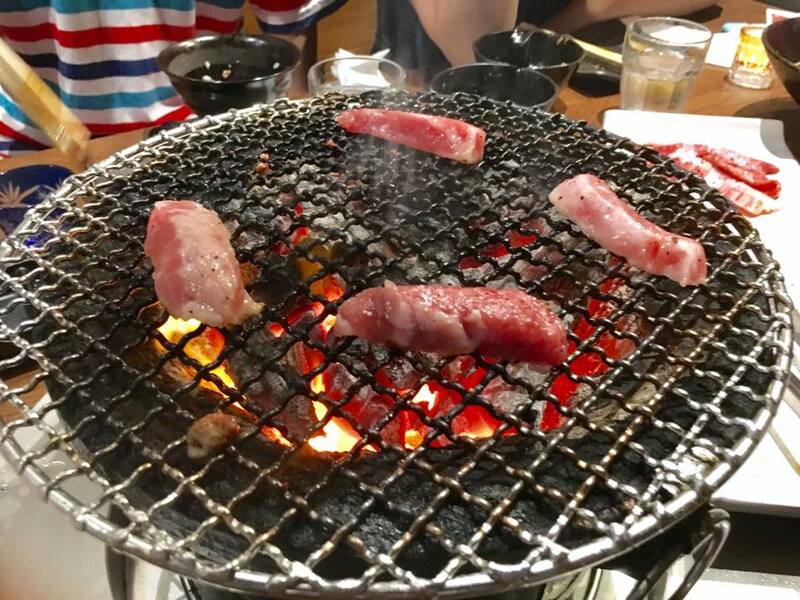 always enjoy a yakiniku. 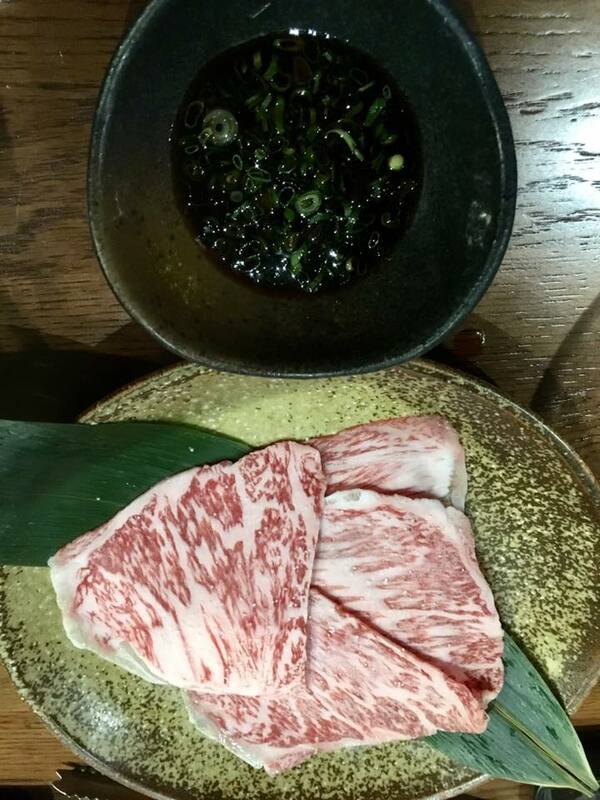 the owner told us the wagyu sashimi was fantastic! we were sold! even more sold after tasting it. perfecto! so again we ordered, and indeed the best! 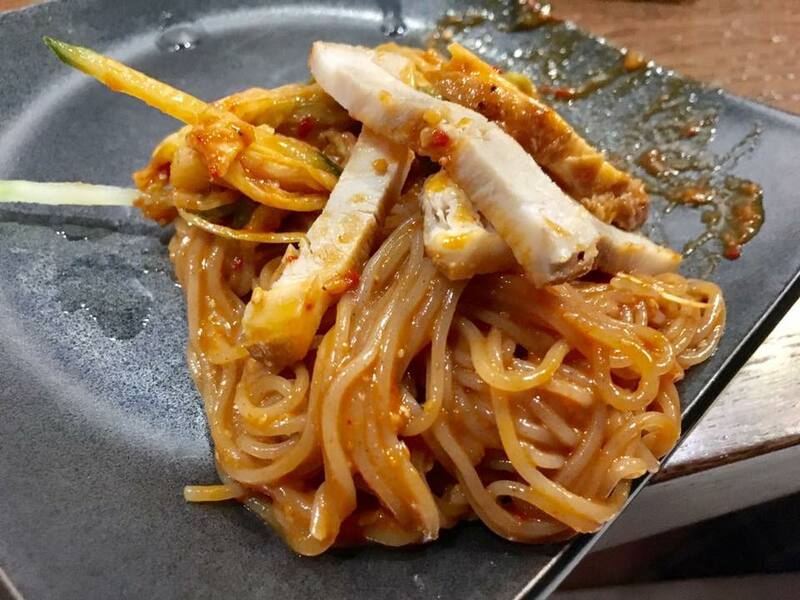 melt in your mouth perfection…. shabu i think is just 刷, which means to just poached in hotpot for some say 8 secs. so it just means a thin slice of meat. 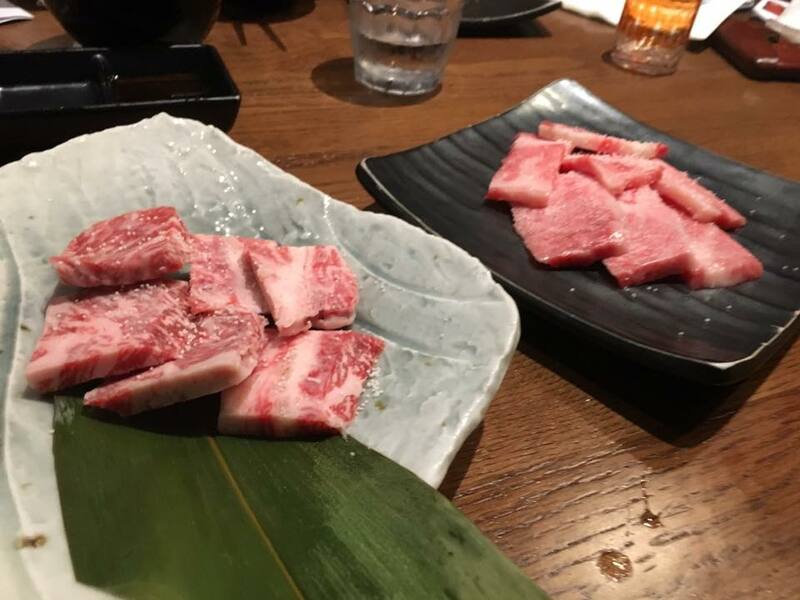 and i have taken shabu wagyu steak at japanese steak restaurants. 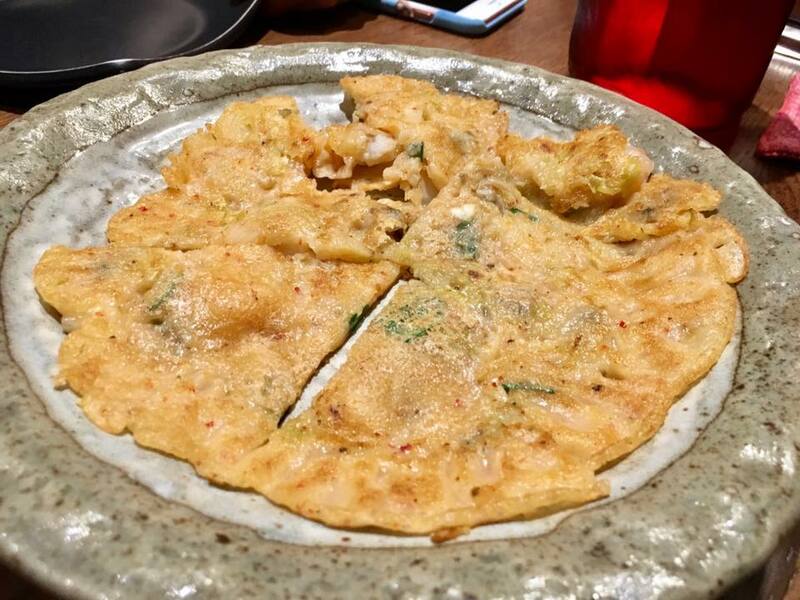 seafood pancake was ok tasty, but so so dish for me. 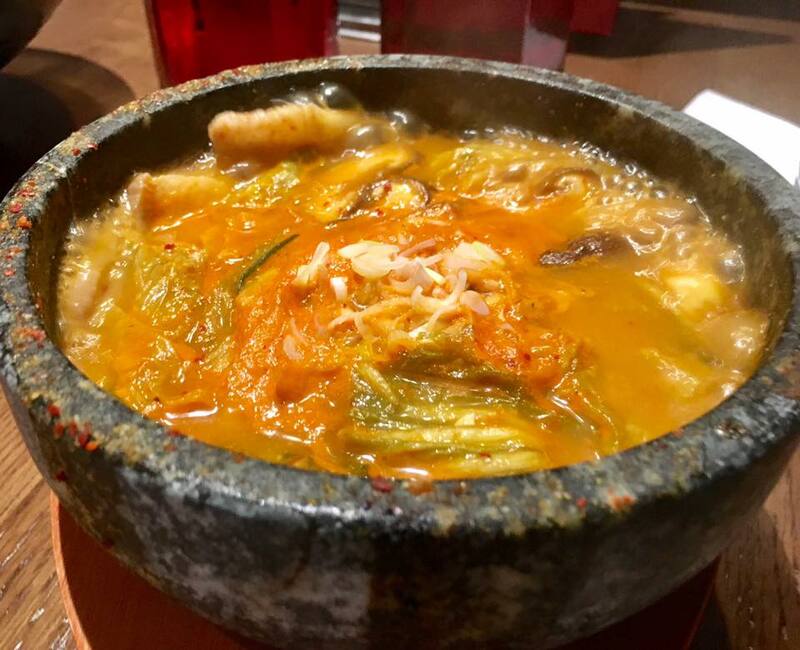 the buta kimchi chigae S$13 excellent as always. the bibimen we all loved. 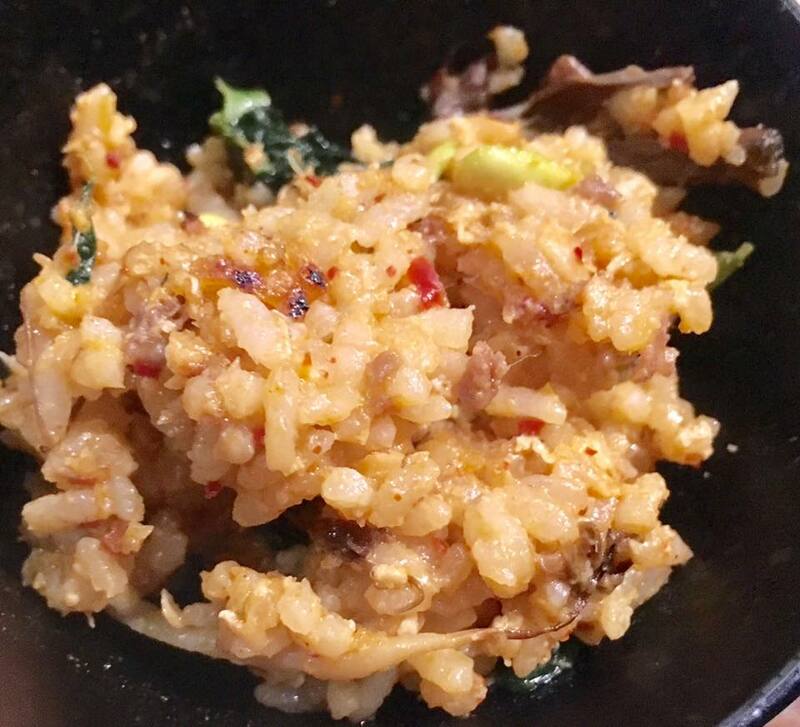 & the bibimbap very good here. everyone enjoyed the dishes. 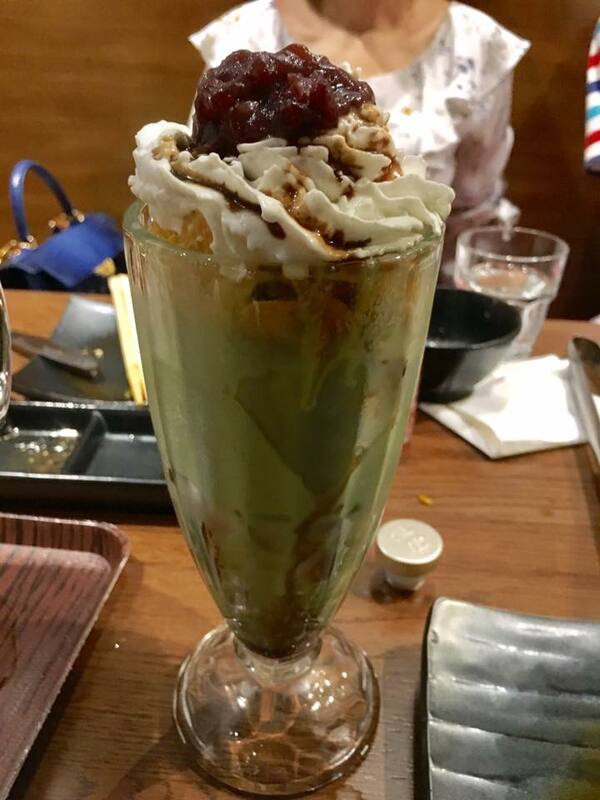 the greentea parfait was ok, not not really a parfait without the greentea cake, green & white mochi, warabi mochi etc. no comparison with what we get in japan, or even sun with moon. 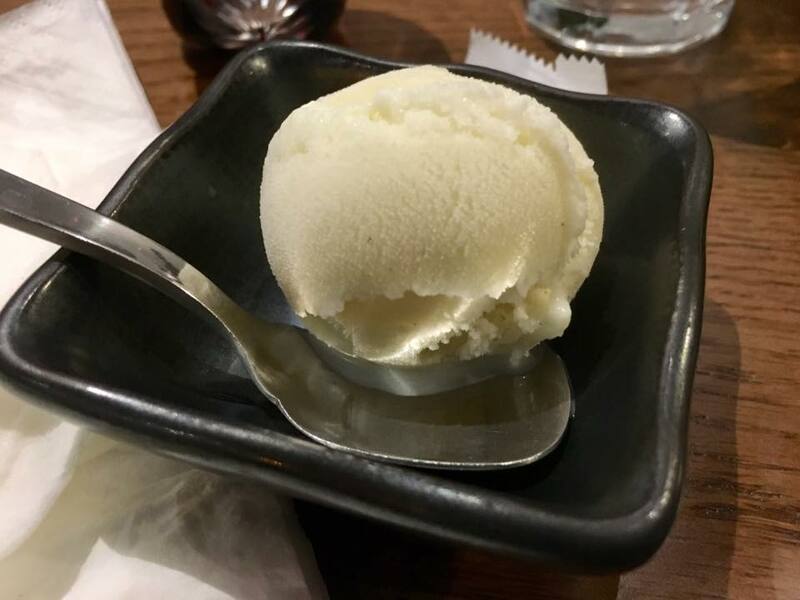 we ordered too much food, plus a whole bottle of 720ml sake, so they gave us complimentary vanila ice cream. it was very good quality ice cream. the milk so smooth & creamy & tasty, like hokkaido ice creams. 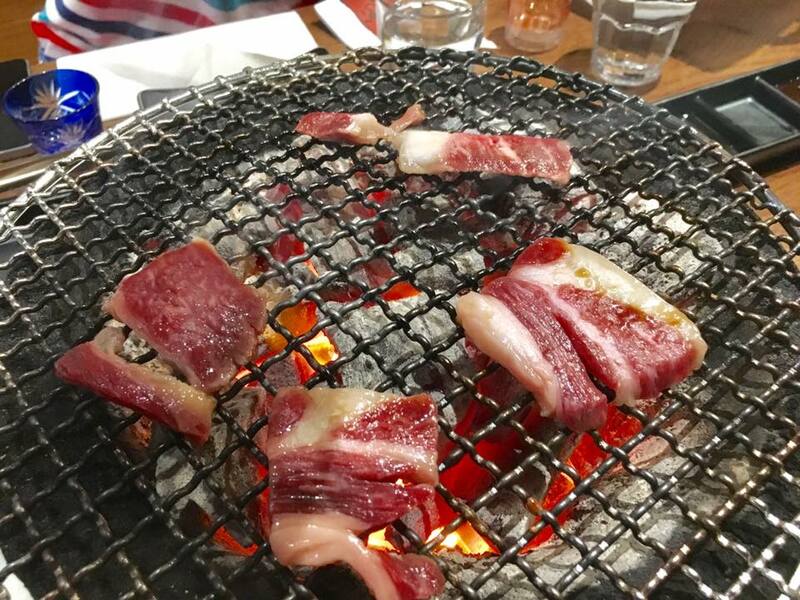 & the price was actually quite ok. minus the sake, it would be like S$280nett for 5pax & we ordered a lot of meat. very enjoyable dinner, as always here at aburiya.